For over 30 years, Stodec Products have been designing, supplying and installing a range of products, performing first rate services for commercial enterprises across the country. Our expert team are on hand to carry out free site surveys, determining your specific requirements regarding storage, partitioning, ceiling/flooring options and whether or not refurbishment is possible. We can then design and install all units to the highest standards, or simply supply the materials for you to fit for yourself. Stodec Products’ range of office furniture, from desks and storage options to whole reception area fit outs, is ideal for all commercial enterprises, while our suspended ceilings and floor coverings provide a cost-effective way to conceal plumbing, ductwork and air conditioning elements. We stock mineral fibre, metal pan and walk-on suspended ceiling types. Stodec’s services include the supply and fitting of components for clean rooms through our standalone Clean Room Installation Services Ltd. These carefully controlled environments benefit from the specialist knowledge of our team, allowing us to supply a number of storage and partition options uniquely designed for these locations. Previous projects have seen us carry out work in pharmaceutical, aerospace, optronics, electronics, precision engineering, food production, medical and biomedical facilities among others, giving us the wealth of experience necessary to provide this specialist service. 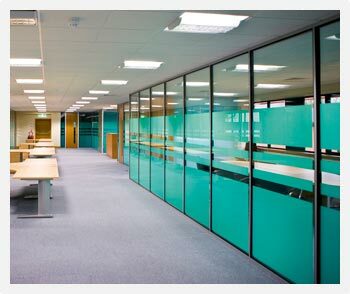 For office interiors we can work on both existing & new sites. If required we can remove existing fittings & replace with new partitions, flooring, ceilings, plumbing, electrics, services, & furniture. In some installations we have replaced external windows & doors to bring the complete office installation up to standard.